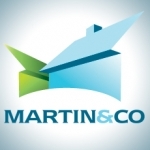 Martin & Co Camberley is a letting agency which is part of the award winning national company Martin & Co. The branch is located in the Centre of Camberley on the busy High Street. 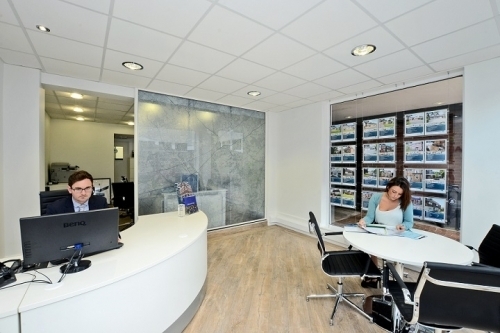 As a branch we offer an unrivalled lettings service to landlords, tenants and property investors. As well as Camberley the branch covers areas that include Bagshot, Blackwater, Bisley, Deepcut, Frimley, Frimley Green, Lightwater, Mytchett, Pirbright, Sandhurst, Yateley and Windlesham. 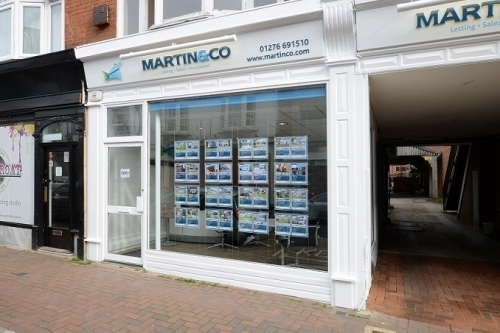 At Martin & Co Camberley we give your property the most exposure possible through advertising on other major property websites, we also advertise through our national network of offices and through our huge database of registered buyers and tenant applications. You will never have to deal with a call centre as we handle everything locally here in Camberley. Fast, friendly, affective and proffessional. Kept me informed and succeeded in letting our property after we had been advertising it for some time with another estate agent. We would highly recommend. I find Martin and Co., Camberley to be excellent letting agents offering me the sort of service I expect from a commercial enterprise, that being a professional and yet personalized attention at a price that is good value for money. They now manage all my properties which gives me peace of mind and time to attend to other business matters. K. Brunton - Landlord. I recently had to rent my property for the first time, at the same time as preparing for the arrival of my baby daughter, and all while dealing with a very hectic schedule at work. Giles at Martin & Co dealt with the whole process for me, and helped keep my stress levels to a minimum. I can't recommend them enough. I'm now free to focus on nappy changing and sleepless nights!